This Light Award is sponsored by Royalties University™ and processed through Kiva.org. Avzalbi Saidova lives with her son in the town of Qurgan-Tube in Tajikistan. She is divorced and is the sole provider for her family. She is engaged in a retail business at the Chinese market. 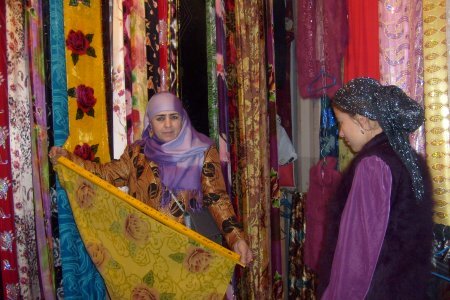 She sells women’s fabrics and brings the goods from Dushanbe. She has a 7-year experience in this business. Avzalbi plans to obtain a 12-month loan in order to acquire seasonal goods.